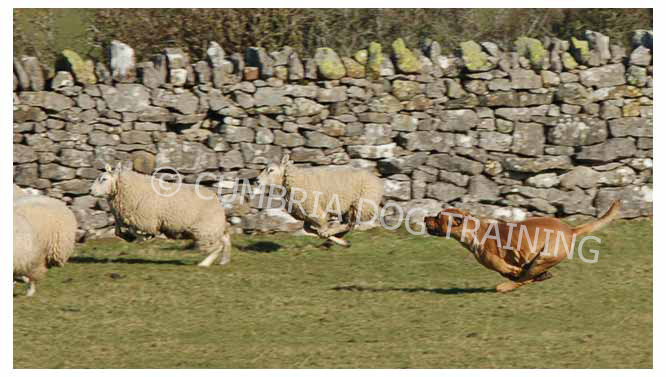 Why threaten your dog's life by allowing him to chase livestock ? 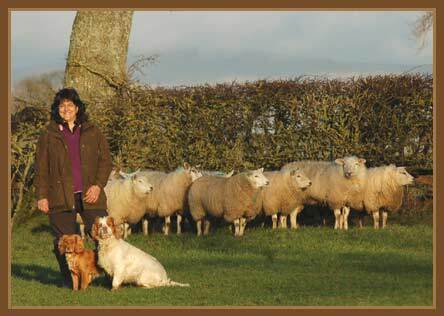 .... Janet Ardley in full flow is enough to make anyone - dog or man - think twice about going near a flock of sheep. The dog stops in his tracks, and so does everyone else who has never experienced Janet’s Cumbrian war cry before ! How do I stop my dog chasing sheep ? 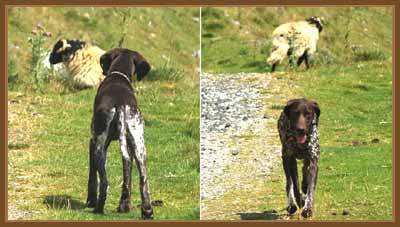 The sight of their dog chasing livestock is one of the most frightening an owner will witness. The harm that can be caused can be all too real. From small nips to the outright downing of an animal, the situation is serious for animal, dog, owner and farmer. And the physical signs – or lack of them – don't neccessarily tell the whole story. Avoid walks in all rural areas. When walking your dog, always have him under full control and on a lead. Seek a dog trainer with the ability and experience to re-educate your dog. Having teamed up with a farming friend who takes the very positive attitude of training being preferable to punishment, I have my "own" flock of sheep to work with. Using "humane" methods, I can change the behaviour of nearly all dogs in less than an hour - regardless of age or breed. I would like to stress that owning a dog who has previously chased sheep or livestock does not mean to say that he/she can't be re-educated using my usual methods - quite the opposite. Of the dogs I work with who have chased, most have done so for the thrill of it and have never inflicted any physical harm. 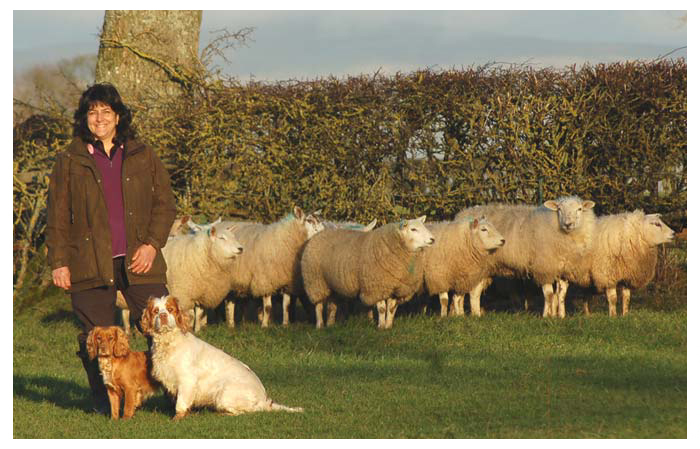 Some owners contact me early on, wanting their puppy or young dog introduced and socialised with farming livestock. This has many benefits, not least the recognition of the command word "leave". But circumstances don't always allow every dog – or owner – to do this and many people own dogs who have already chased. But at least they're recognising the problem and taking the positive approach of doing something about it. So from that moment – and together – you and I are going to introduce some new rules to your best friend and make him realise that some things are strictly off limits ! On the day we'll meet up, discuss how your dog has been behaving then carry on from there. Before leaving, you will have walked him close to the flock of sheep – off lead – without him chasing or even showing any interest. Quite the opposite. Those fluffy white creatures have never looked less appealing. You will need to follow my simple advice to ensure that he behaves exactly as you want him to. Do that and the days of panic when a sheep or other livestock are spotted are over, making every walk both enjoyable and relaxing. I thought I’d write on Facebook, for all to see, that it’s now 3 weeks since we completed our sheep training and I can say, hand on heart, Dougal has not even looked at a sheep since bringing him to you - in fact he’s the same with cows and horses too, which is absolutely unbelievable! You have truly changed Dougal and me and we cannot thank you enough. Oh no - not a sheep ! !